Manipur had become a constitutional monarchy in 1947 with voting rights for all adults. The first legislative assembly election in Manipur happened in 1948. No political party had an absolute majority. Therefore, an alliance of Praja Samiti, Krishak Sangha and independent members from the hills formed the government. Manipur State Congress, the precursor of the Indian National Congress, which was actively involved in pro-integration activities during this period, did not come to power. 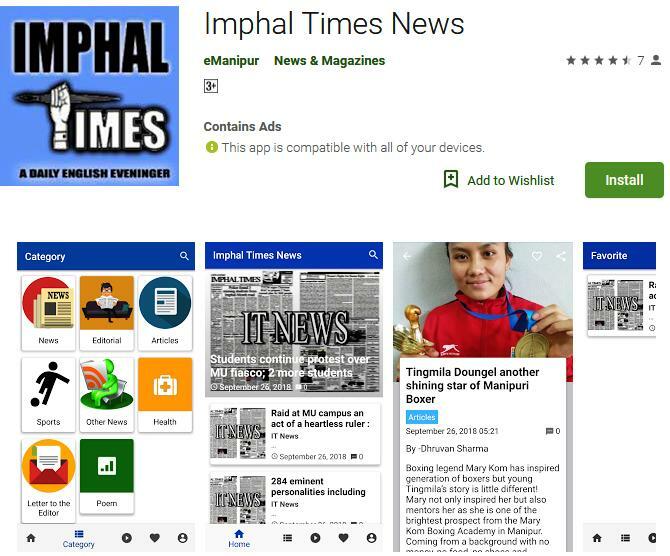 Two factions inside Manipur State Congress, Tomal and Tompok faction, worked vehemently for integration, including satyagraha against the dishonouring of Indian National Flag and the Gandhi cap. Tompok faction’s first session in 1947 happened at Atom Babu Sharma’s residence, a known historian of Manipur. Atom Babu Sharma’s narrative on Manipur is not far from BJP’s narrative on Manipur and North East. His scholarship has been rejected now in academia. His writings forcefully integrate indigenous puwari-s of Manipur with Hindu mythologies to present a Brahmanical history of Manipur. Recently, CM Nongthombam Biren brought Rukmini and Krishna myth to talk about the relationship between the region and mainland India in Madhavpur fair. The Hinduisation movement which began in the North East centuries ago has continued through different actors, including Congress and BJP now. Therefore, it is a myth that BJP is an ideological challenge to Congress in matters of Manipur. The regional parties from Manipur cannot get any space in the national politics given the structure with which parliamentary politics functions. The parliamentary parties in Manipur, with their limitations under the Indian state machinery, has failed to deliver anything on matters of historic importance for the people, whether it be AFSPA or ILP. Citizenship Amendment Bill (CAB) 2016 issue expresses the same limitations of the parliamentary parties.. Lok Sabha passed the CAB 2016 despite loud protests from the northeastern states. The opposition did not want to look bad in front of Hindu mainland Indian voters by opposing the communal bill in Lok Sabha just before the 2019 national elections. And, everyone knew that BJP would pass the bill as it is in the majority in the lower house. Now, we are waiting for what will happen in Rajya Sabha. If the bill is passed, BJP will gain more hold in Bengal. BJP has long alleged that Mamata Banerjee’s politics is appeasement of Muslims. The Muslim population is quite large in West Bengal, around 27 per cent. With this bill, BJP wants to become the saviour of Hindu Bengalis of Bangladesh to gain more votes in West Bengal and Barak Valley. It serves to cut Mamata Banerjee’s support base among Bengali Hindus. Also, Banerjee got to play hero in the NRC row. BJP wants to do the same with CAB. Furthermore, it would not mind losing 25 seats in the North East when it could gain substantive numbers in West Bengal which has 42 seats. When BJP looks at Barak Valley and West Bengal, they do not see tiny Manipur. The bill is going to please the mainland Indian Hindu voters also. Even if the bill fails, BJP still gains as Congress will get the blame. These matters are quite probable.